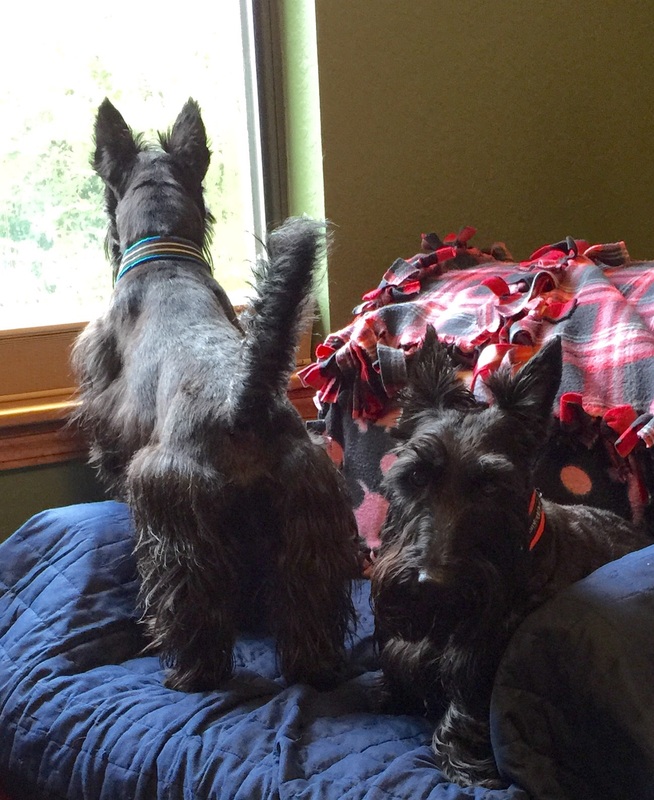 Window watching is a Scottie pastime. It is our reality tv. Mom was working on the computer today so we decided to join her at her window. First of all, two big German shepherds cruised by the house very early this morning. Guess they were out getting their business done in someone else’s yard other than their own. Naturally, animal control wasn’t on the clock yet. The lawn care people arrived next and gave us another opportunity for a bark fest. By then, it was time for our mid morning snack of yogurt and blueberries. We spent the afternoon looking for bunny and the mailman. I bet you all spend a lot of time at your windows too. 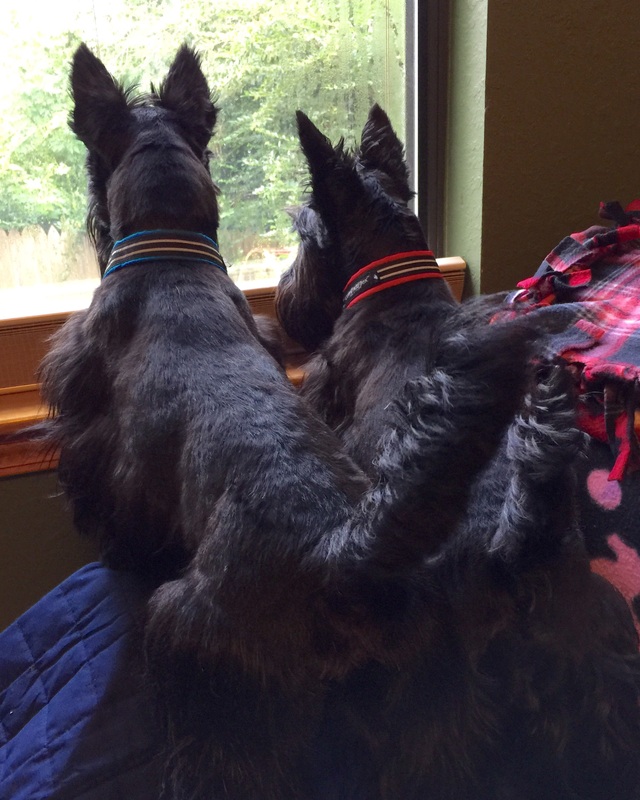 Mom said it’s the best Scottie babysitter she knows.